Below you’ll find the diverse group of people to whom I owe a lot: great friendships, feedback, and tons of work. They’re amazing, have bright futures, and I’m proud to have played a role in mentoring them. This page is dedicated to my past mentees and serves as a reminder that mentors care about you, even after you’ve moved on! Interested in me as a mentor? Please email me for a copy of my Mentoring Philosophy and Contract. 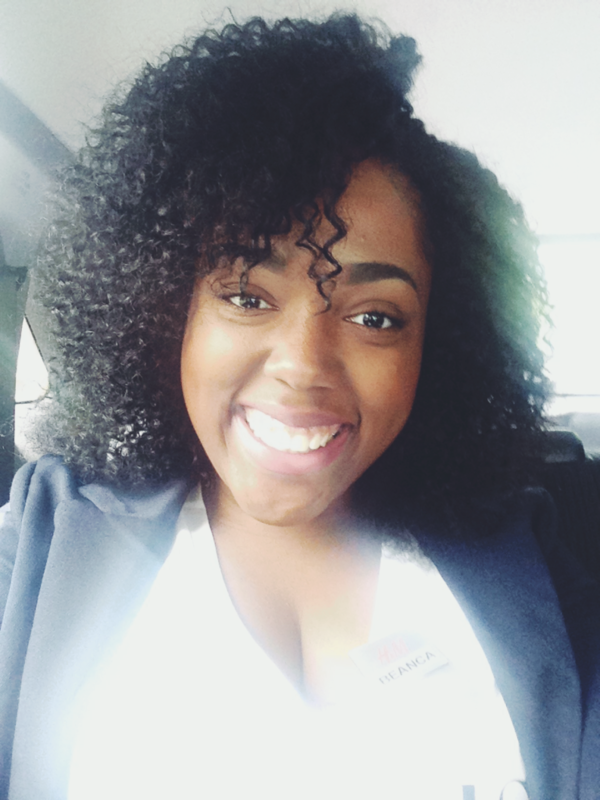 Kiera is a Biology major graduating in Spring 2016. 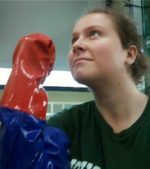 She is very skilled at creating genetic databases and identifying target genes. She plans to take her skills learned through projects on horizontal gene transfer and apply them to a medical career. 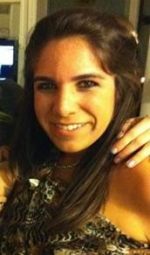 Beanca is a biology major who has worked on several projects in the lab. Currently she is working collaboratively between Spelman and the University of Rochester on horizontal gene transfer in blood-feeding insects. Wangui is a Chemistry major graduating in Summer 2016. She took my Animal Behavior course in Spring 2015 and went on to spend the summer at MSU working with Kevin McCormick and Kay Holekamp on aggression in hyenas. Since her return, we’ve been working on more topics in animal behavior and the art of giving presentations. Her hard work has paid off, as she won Best Oral Presentation at the 2015 Annual Biomedical Research Conference for Minority Students and has recently submitted a successful CURE Summer Research proposal to fund her work with me this summer! 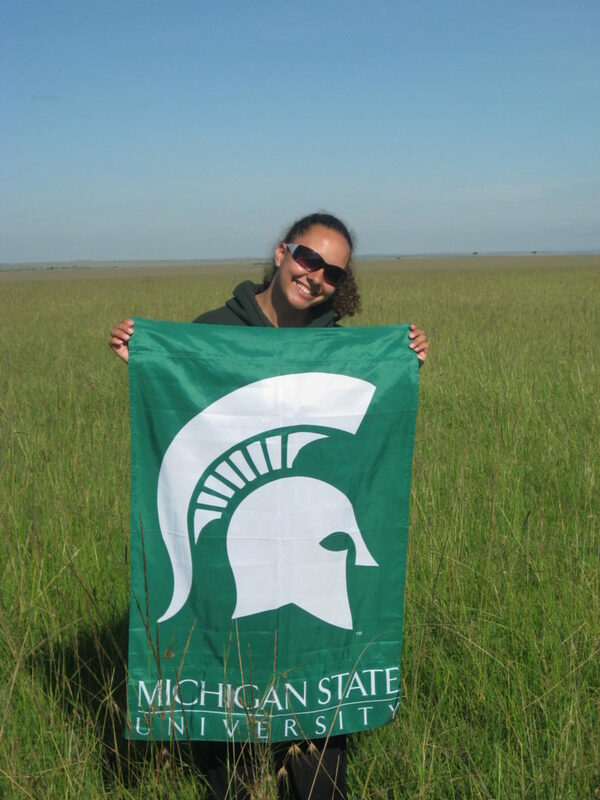 Ellyse was an MSU Zoology major with a concentration in Neuroscience and Animal Behavior who graduated in December 2013. She decided to stay on after graduation, which gave us tons of help in several lab projects. She went on to do an NIH Postbac. Savannah was an MSU Zoology major with a concentration in Neuroscience and Animal Behavior who graduated in May 2015. We met through the Graduate Women in Science mentoring program in January 2013, and she made a great addition to the lab! She now works in animal training. 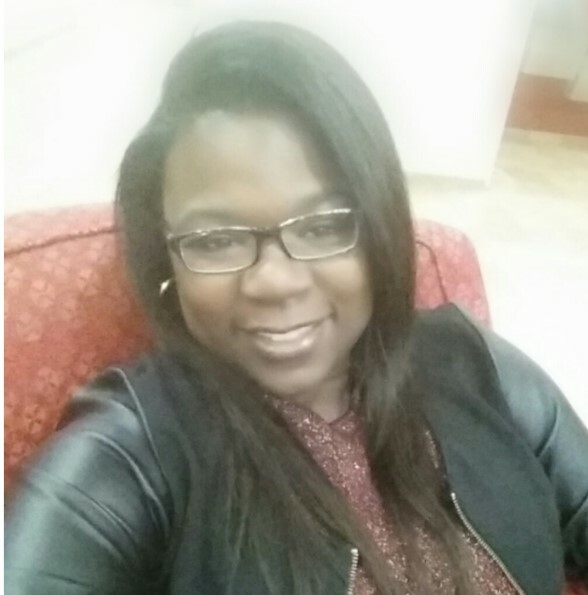 Felicia was an MSU Interdisciplinary Studies-Health Studies major with an interest in genetics. While in the lab, she was responsible for caring for the lab-crossed fish for a larger study headed up by Dr. Boughman that looked at the genetics of behavior and sexual signals. Felicia hopes to go on to professional school in the future, switching from fish to humans! Angela was an MSU Geology major who graduated in July of 2012. She actually predated me in the lab (thanks for being so welcoming!) and worked very hard on the female investment projects. 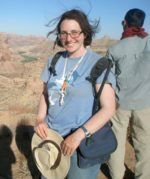 She completed her Master’s in Paleontology at Marshall in 2015. So proud of her! 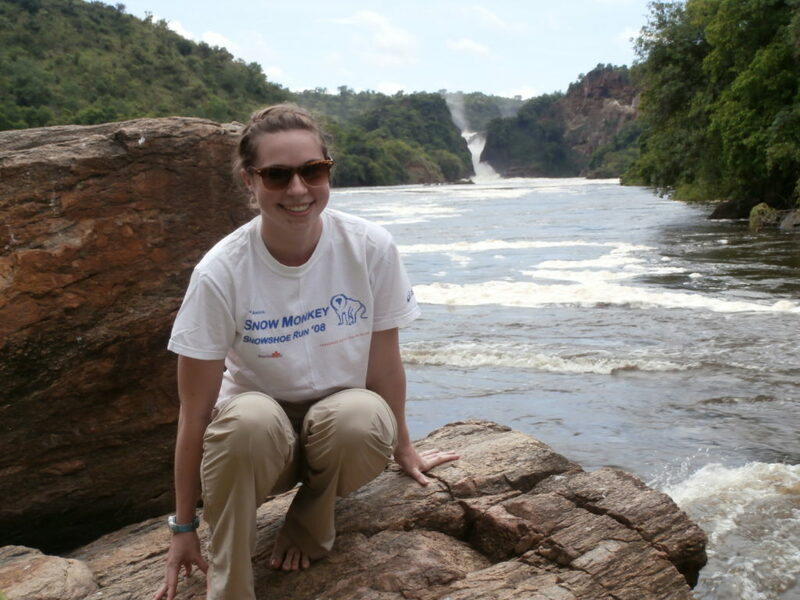 Anna was an MSU Zoology major with a concentration Marine Biology who graduated in May 2013. She was instrumental in conducting my lab experiments on male nesting behavior in Summer 2012 and getting things off of the ground in Summer 2013. She also presented our work at the 2013 Midwest Ecology and Evolution Conference, at which she won the Best Undergraduate Poster Award! 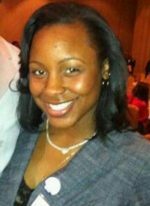 She published her undergraduate work in MSU’s ReCUR and recently completed her Master’s at UNC-Wilmington. Gavin was my student both in Intro Bio and in Genetics at MSU, and I’m glad he made his way into the lab! He graduated in spring 2014 with a Bachelor’s in Microbiology. 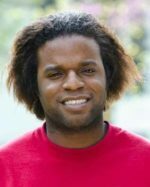 He was funded to work in the lab through the competitive 2014 College of Natural Science Spring Undergraduate Research Scholarship. I’m also excited to say that he presented a poster on his scholarship-supported work at the University Undergraduate Research and Arts Forum, where he won an award for Best Poster Presentation! He went on to graduate school at the University of Illinois, Urbana-Champaign. Marquita joined the lab in January 2014 to put her vast animal behavior experiences to work. Co-mentored by labmate, Robert Mobley, Marquita worked on a collaborative project addressing olfactory communication. She was also a winner of the 2014 College of Natural Science Spring Undergraduate Research Scholarship! Marquita has since graduated MSU in fall 2014 with a Bachelor’s in Zoology (Animal Behavior and Neurobiology; see her profile in the Zoology newsletter here), but we were lucky to have her hang around a bit longer! Now the Toledo Zoo has her as an excellent employee! Ben started in the lab back when he was a high school student at Waverly High School, and I’m happy to say he’s a now a Spartan! 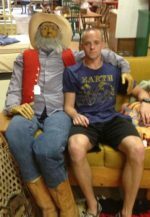 He interned in the lab at MSU in Summer 2012 to work on the male nesting behavior project, and this curious, smart guy has gone from popping in every now and then to explore what’s new with “da fishies” to a full-fledged undergraduate research assistant! 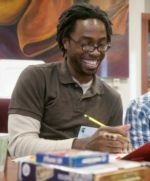 Jay joined BEACON in August of 2013 while finishing his master’s degree in Biological Anthropology at Pennsylvania State University. His research focuses on the evolution of human sexuality and human reproductive ecology, and his thesis was entitled, “Total Sexual Selection in Men’s Voices”. His research path lead him to Rich Lenski’s lab at MSU, but I’m excited to have worked with him in evolution education! Michael was an MSU Biomedical Laboratory Sciences major that graduated in December of 2012. He was a great UEA for my BS172:Organisms and Populations lab in Spring of 2012. He is now a Medical Technologist at Warde Medical Laboratory. Selena was a Nutrition Science and Neuroscience double major who graduated MSU in May 2015. She was an awesome UEA for my BS172:Organisms and Populations lab in Fall of 2012. She went on to Tennessee to become a Pharmacy student!